Want to watch Villanova basketball online? We'll show you how to keep up with the Wildcats, and enjoy Villanova basketball live stream without cable. Last year’s national champions are at it again this season, looking to win back-to-back titles. Villanova basketball is already known as a powerhouse—now they’re looking to be known for their record-breaking win streak. So if you’re not sure how exactly to watch some sweet, sweet Villanova basketball, just keep reading. We’re here so you can pick the best service for you—and get the most basketball out of it possible. First things first—which channels do you need to watch Villanova basketball? The champs are going to be broadcasted on FOX Sports 1 (FS1) for the majority of their season. The occasional game will be shown on ESPN and CBS Sports, so make sure to keep an eye on the schedule. Not everyone can come in first, and the same rule applies to streaming services. We’ve taken a magnifying glass to some of the services on our list so you can make sure to choose what’s best for you. 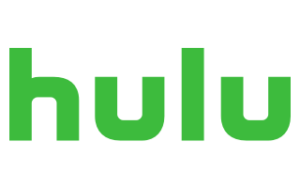 Hulu with Live TV may not be the flashiest service with the best perks, but it has the fundamentals covered, making it number one on our list. Make sure to check out the free trial to see if this is your champion of streaming. With 592 local channel affiliates available, Hulu Live is more than likely going to have what you need to watch Villanova reign supreme. Once that’s said and done, you’ll also be able to watch the latest in non-basketball entertainment after the season is over. Hulu Live’s DVR is small with only 50 hours available, but it does give you the chance to upgrade for $15 more a month. So if you’re not willing to pay up, you’ll just have to manage your storage space a little more frequently. Hulu Live does seem a little basic once the rose-tinted glasses come off, but that’s still not a bad thing. While it may not be the biggest or the shiniest service out there, it’s a service lots of people can rely on, and that matters a lot when you’re watching college basketball. We’re living in the golden age of streaming, so we should demand a little more from our DVRs. YouTube TV agrees with us, and it delivers unlimited storage. Test it out for yourself for free here. YouTube TV caters to the procrastinator in all of us. For the price of $40, you get a DVR with unlimited storage space, so you won’t have to crunch the numbers in your schedule to make time for the game. Be warned, though: everything you store does disappear after nine months. So your content may have a longer lifespan than the milk you just bought, but you still can’t put off the expiration date forever. While Villanova has a reputation for being number one, YouTube TV still has some work to do before it can be ranked first for college basketball. The main problem is that YouTube TV just isn’t available everywhere yet. Hulu Live has the most local channel affiliates in the game right now, and YouTube TV has the second most. YouTube TV may catch up soon, but for now, we’ve ranked them accordingly. YouTube TV still has a lot to offer overall, especially if you’re in crucial need of a DVR that helps alleviate your packed schedule. So if it’s available to you, we totally recommend the service. And if it isn’t . . . we have two other choices for you to choose from. PlayStation Vue has everything you need to satisfy your inner athlete, but it does lose its dribble on the way to the basket. If you’re able to sign up for its free trial, we recommend you do before signing up for this pricey service.  Okay, so let us get something out of the way first: you don’t need a PlayStation to subscribe to PlayStation Vue. Now that’s out of the way, you’ll be happy to know PlayStation Vue has several packages to choose from. But we think the Core package is essential for any self-respecting sports fan. This option is priced at $49.99 a month, which is a bit more expensive than the other services on this list, but has amazing sports coverage. It has 67 channels, giving you all you’ll need to watch Villanova play. You can also get add-ons for more channels if you want 76ers, Eagles, or Phillies games. PlayStation Vue comes in third on this list because of its availability nationwide. Overall, it has 217 local channel affiliates, which is about a third the amount of Hulu Live. Even though PlayStation Vue has a lot to offer when it comes to its unlimited DVR and additional sports channels, if it doesn’t have the “core” of what you need—like, you know, offering your local channels—you’ll be better off choosing something else. This class of athletes is hungry for more victories, so don’t starve yourself of their upcoming greatness. Make sure you get a service that gives you everything you need to enjoy this season.